The best way to learn about a place, aside from actually going there, is to learn from people who live there. Thanks to the Internet and the rise of blog culture, this is easier than ever. If you want to get a feel for Alaska before you visit, such as finding the best restaurants, local music or activities, take a look at a few of these local blogs written by Alaskans who can’t get enough of the state they live in. Look no further than AKontheGo. Focusing on “family fun in the 49th state,” AKontheGo is full of information and helpful tips for families traveling around Alaska. Its “kid’s corner” section is full of interesting Alaska facts so your kids can feel just as excited for the vacation as you are. The blog also offers a jam-packed calendar of fun family events all over the state, a great resource if you find yourself with an open day in your itinerary. Alaska From Scratch will feed any northern craving with unique and delicious Alaska recipes. Maya Evoy is a Californian-turned-Alaskan who embraced the practice of cooking meals from scratch when she moved to the Kenai Peninsula. She showcases Alaska ingredients like fresh seafood, produce and berries, although most of these ingredients can be substituted if you find yourself back at home without access to fresh halibut. Her recipes are paired with beautiful photographs and stories, creating a feast for more than just your stomach. Whenever you visit somewhere new, it’s always enticing to see what the locals do for fun. 907Life is a blog written by Alaskans for Alaskans that discusses local and nationally-touring entertainment, fashion, nightlife and more in the Last Frontier. It’s the perfect tool to figure out what hip and happening events are nearby when visiting for any amount of time. An Alaska Life, written by former newspaper columnist Julia O’Malley, discusses food, family, do-it-yourself projects, life in Anchorage and Alaska travel. This is a fantastic blog to get a feel for the culture of Alaska through storytelling and photos. An Alaska Life often features guest posts from other writers in the state, offering diverse perspectives. 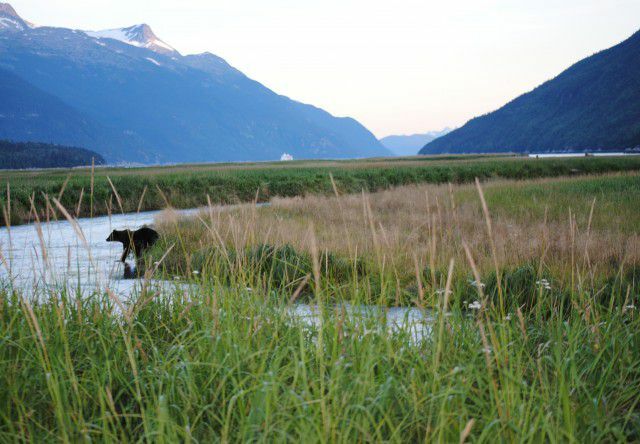 Discovering Alaska secrets and hidden gems has never been easier!